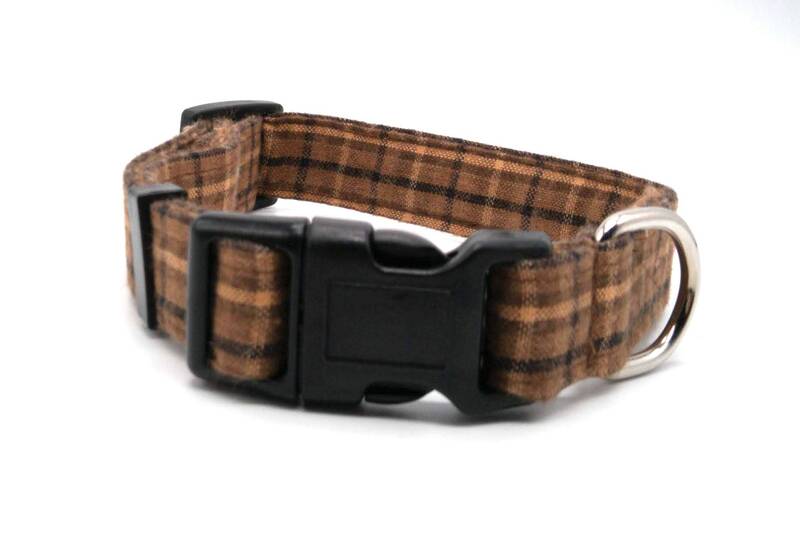 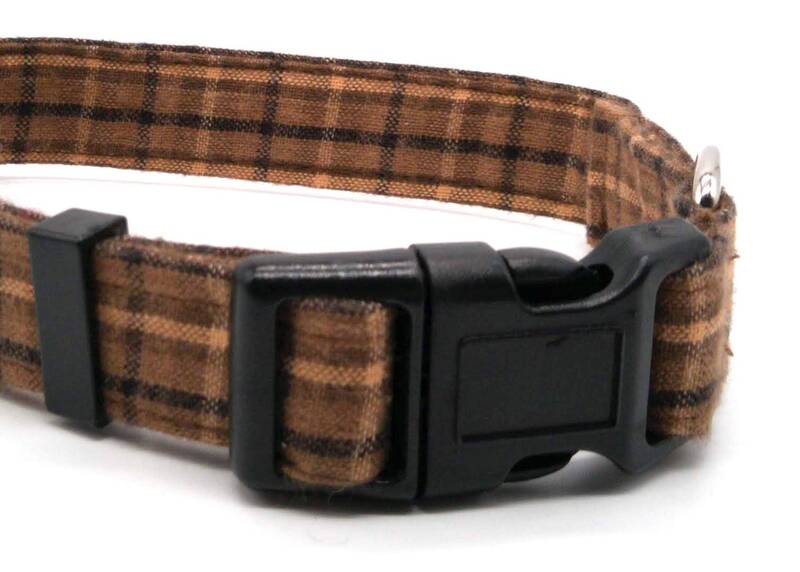 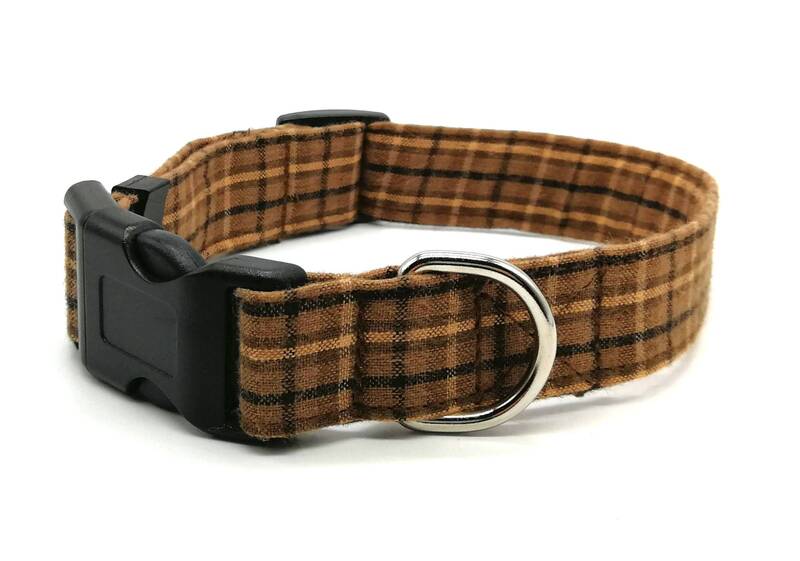 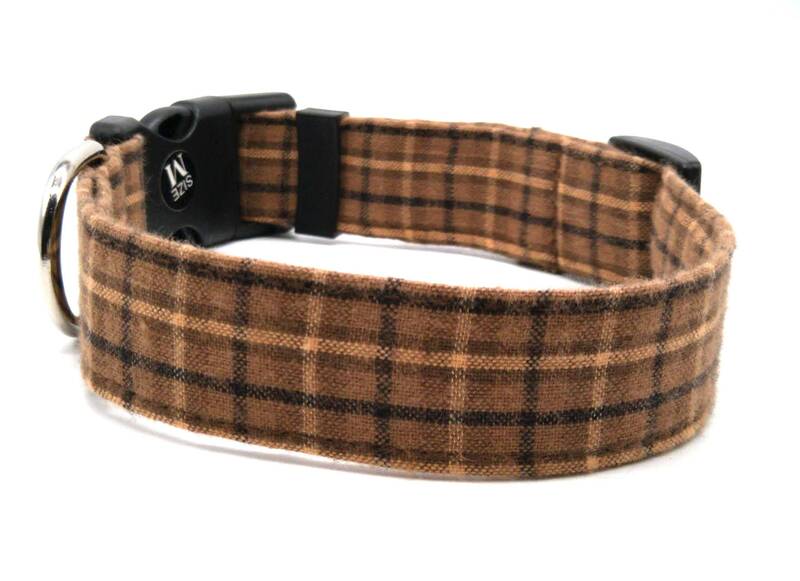 Classic brown plaid / check fabric design. 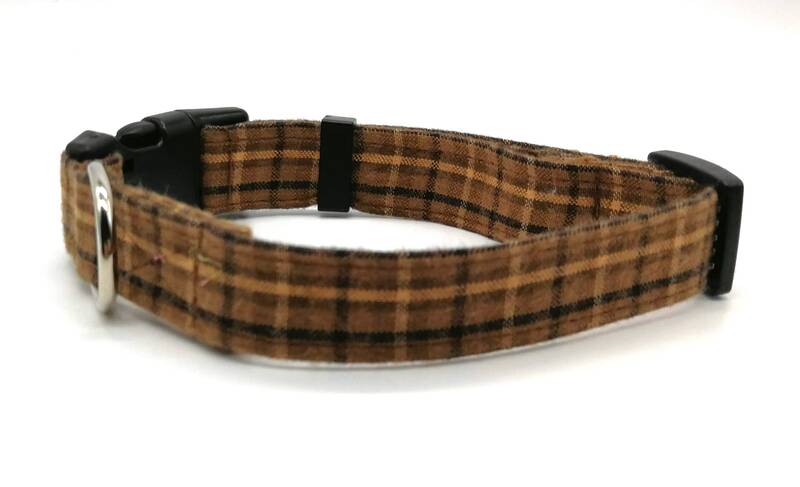 NOTE: Large collars are 1" width, medium collars come in 1" and 3/4" width and small collars in 3/4" width. 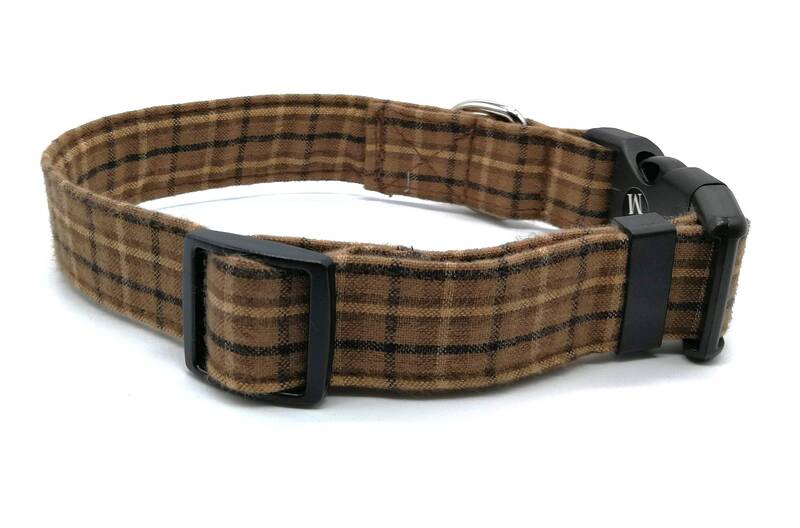 Please state the width in the note section when ordering.